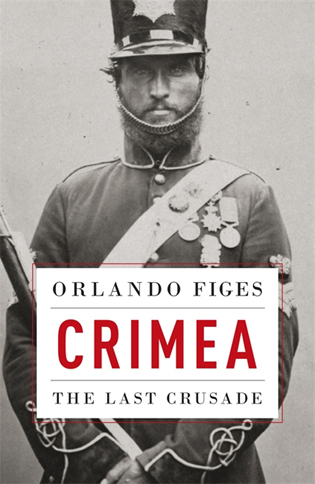 Interview with Orlando Figes about his latest book: "Crimea: The Last Crusade". This was a war that dominated mid-19th century Europe, killing at least 800,000 men and pitting Russia against a coalition of Britain, France and the Ottoman Empire. Orlando Figes is Professor of History at Birkbeck College, University of London. 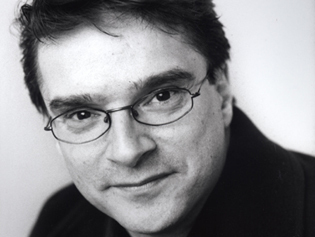 Born in London in 1959, he graduated with a Double-Starred First from Cambridge University, where he was a Lecturer in History and Fellow of Trinity College from 1984 to 1999. He is the author of many books on Russian history, including A People’s Tragedy: The Russian Revolution, 1891-1924, which in 1997 received the Wolfson Prize, the NCR Book Award, the W.H. Smith Literary Award, the Longman/History Today Book Prize and the Los Angeles Times Book Prize. Natasha’s Dance: A Cultural History of Russia (2002) was short-listed for the Samuel Johnson Prize and the Duff Cooper Prize. His latest is The Whisperers: Private Life in Stalin’s Russia (2007). His books have been translated into more than twenty languages. What is the background to the book? What led you to write about the Crimean War? I think it came from my fascination with Nicholas I, a gloomy character who gambled everything on a war against Turkey (the starting point of the Crimean War) to defend Russia’s interests in the Near East, in particular the defence of the sultan’s Orthodox Christians. That led me to think more carefully about the role of religion in Russia’s foreign policy and, more generally, in nineteenth-century international politics, especially in the Eastern Question, which got me into the Crimean War. I suppose, too, that I wanted to get out of Russian history for a while – it can be depressing – and to use my other languages, to see if I could write a book about a big event in European history. It has been enjoyable – a relief after five years heavy labour on The Whisperers. The nature of the sources you used appears to make your book (letters and foreign sources) somewhat unique compared to the other books on the War. Is your take on the war significantly different as a result? The subject has been dominated by British military historians, few of which have Russian, German, Italian, Turkish, or even French. I don’t claim to be the war’s first historian to use all these languages, but I tried to use a broader range of diplomatic and military sources (including ordinary soldiers’ writings) from archives in these countries. I hope the outcome is a broader panorama of the war and a deeper understanding of its political, religious and cultural meaning in all of the countries involved (Russia, Britain, France, Piedmont-Sardinia, and the Ottoman Empire). If there is anything that is significantly different about my book, I suppose it is my emphasis on the religious dimension of the war. The subtitle of the Book is “The Last Crusade”, can you explain that? Yes, of course. I think that for the Tsar Nicholas I, the war really did begin as a ‘crusade’ (he used that word himself) to liberate the Orthodox Slavs (Russia’s co-religionists) from Ottoman Islamic rule and perhaps to recapture Constantinople, which the Russians called ‘Tsargrad.’ Ultimately, he would have liked, I think, to establish Russia as a dominant force in the Holy Lands. The war began with a dispute between the Orthodox (protected by Russia) and the Latins (protected by the French) over the control of the Church of the Holy Sepulchre in Jerusalem and the Church of the Nativity in Bethlehem. The French were opposed to Russia’s growing influence among the Orthodox. The ultra-Catholics, who had an important role in shaping Napoleon’s III’s foreign policy, wanted France to defend its ‘historic mission’ in the Holy Lands, going back to the Crusades, and to resist the growing Russian suppression of the Catholics in Tsarist-controlled Poland after the crushing of the Polish uprising in 1831. For France and Britain the Crimean War was a ‘crusade’ against Russian tyranny – a nineteenth-century precursor to the Cold War, if you like. Of course, there were other factors in the Crimean War. In many ways it was a straight geo-political struggle for control of the Black Sea, for Russia’s vulnerable southern borderlands. I wouldn’t deny that, and I hope I’ve shown that in the book, but I wanted a sub-title that would signal the religious dimension. At the time the general feeling was that the Ottoman Empire was in the process of collapsing, was this the real cause of the Crimean War? In the broadest sense, I suppose so. The uncertainty that arose from that is what we call the Eastern Question, and it is from this that the powers descend into war. Here the major conflict was between Russia and Britain – each of which had ambitions in the Ottoman Empire. The Tsar started from a policy of keeping Turkey weak so that he could impose Russia’s (mainly religious) interests on it, but he was prepared and even keen to force its partition, if he could get the British to agree to this, if only to avoid the revolutionary and international chaos that might well ensue if the Ottoman Empire began to break up. He was particularly scared of France’s growing influence in Egypt, where Mehmet Ali was heading up a Muslim revival movement that might spread to the Caucasus, where the Russians were engaged in a struggle with the Chechen Muslim tribes. The British, on the other hand, wanted to keep the Ottoman Empire together by reforming it on ‘liberal’ lines to solve the problem of the Christian minorities, which wanted religious toleration and self-government, if not national independence from the sultan’s rule. Of course, the British had their own ulterior motive – to open up the Ottoman markets to British manufacturers (‘free trade’) and to British political influence (‘Western Civilization’). It was an early example of the ‘moral interventionism’ we have seen in the Middle East in recent years. You emphasize the importance of the Holy Land and Constantinople to the collective Russian psyche. What was the root of the Russian obsession to conquer Constantinople and Jerusalem? I’m not sure the Russians wanted to conquer Jerusalem, though the Western consuls in Palestine were afraid of this. But the Russians wanted to increase their influence in Palestine, and bought land for monasteries and pilgrims’ hostels there. They saw a spiritual connection between ‘Holy Russia’ and Jerusalem that was higher than the secular sovereignty of the sultan. Constantinople was the source of Russian Christianity. The Russian Empire was built upon the myth of Orthodox succession to Byzantium, and Russian nationalists campaigned for its conquest until 1917. You talk about a rampant Russophobia at the time of the war. How was Russia seen by western Europeans at the time? Yes, I think that was a major factor in mobilizing western opinion against Russia, and the press played an important role in this. Russia was portrayed as a ‘barbaric tyranny’, as a threat to Western liberties, after its repression of the revolutions in Poland in 1830-31 and in Austria-Hungary in 1848-49. The liberal press played on the idea of a life-and-death struggle between Western liberty and Eastern tyranny – not unlike the rhetoric of the Cold War. In Britain, Russia was described as an aggressive and expansionist empire that would conquer the European continent and march its armies into India unless stopped. I think that Europe was in shock at the Russian victory against Napoleon in 1812-15. Russia was a young power that had grown rapidly since the eighteenth century. It did not appear that anyone was particularly keen on the idea of the war but the Russian Tsar threw his country into the war on almost mystical grounds, to fulfil a national destiny. It sounds like the war was basically a folly, is that accurate? That is how it was perceived by many at the time. It was certainly a gamble. But I think the Tsar made up his mind to take that gamble from religious conviction. He was in the end a religious ideologue – and was prepared to go to war – against the whole of Europe as it turned out – for the defence of the Orthodox in the Balkans – and no doubt in the hope that they would fight for Russia – against the Ottomans. It was a foolish thing to do, that’s for sure, because by invading European Turkey, the Russians brought the Western powers and Austria into the conflict against them. The Tsar’s senior generals were afraid of this and dragged their feet in the advance from the Danube to Constantinople. But Nicholas was adamant that he had God on his side. It’s the sort of delusion that comes from being Tsar for almost thirty years. It ended up being a war between the Russians and the French with the British playing a secondary role, certainly in terms of numbers and resources, true? Not quite, no. The Turks were important too. Arguably they won the war against Russia in 1853-54 during the campaign on the Danube, forcing the Russians to retreat, and the Crimean Expedition was an afterthought to justify the mobilization of British and French troops. After that it’s true that the French did most of the fighting – committing 310,000 troops in all compared to 98,000 British troops. In terms of resources it is hard to tell. Without the industrial might of Britain – steamships, munitions, railways and all that – the allies would not have worn down the Russians, who fought with a pre-industrial serf army. You mention that the Crimean War was unique in that it was the first modern war but with touches of traditional chivalry. You stress the importance of the Press and public opinion in the build up to the war and in its aftermath: what was new here? The American Civil War is often said to be the ‘first modern war’ but in fact it was the Crimean War in which many of the means of industrialized fighting (steamships, telegraphs, modern rifles) were first used. It was the first war to be photographed and the first ‘newspaper war’ with reporters such as William Russell of The Times sending despatches directly from the war-zone. Reports of the fighting and the suffering of the soldiers as a result of the war’s mismanagement by the British leaders, in particular, appeared quickly in the press, because of the telegraph, and this involved the public in the war in a way not seen before. 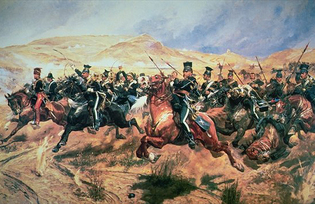 For the first time in British history, public opinion became an active military factor during the Crimean War. You portray the French army as much more efficient and disciplined than the British army. Why was this? Generally yes. The French army had more recent experience of war – in Algeria during the 1830s. 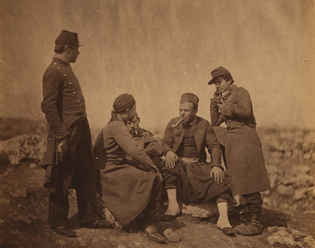 Its infantry – led by the Zouaves – was probably the best in the world at that time. It was a citizens’ army – the product of the Revolution and Napoleon’s reforms – with a solid professional corps of officers that had been trained in the écoles militaires. The British army was a class army – officers purchased their commissions and came mainly from the aristocracy. There was a much wider social gap between the officers and men in the British army compared to the French. In the French army officers and men lived and ate together in their regiments – they shared canteens, even tents, whereas the British officers lived well apart from their men. Many of the British soldiers in the Crimea had been recruited from the poor – victims of the Irish famine or the unemployed who ‘took the shilling’ from recruiting officers at fairgrounds and in pubs. Drunkenness and insubordination was a massive problem in the British army – less so in the French. New weapons were an important factor, the Minié rifle was an important weapon was it not, as was trench warfare and massive bombardment? Yes, the Minié was the key to the allied victory at the Alma, in particular. It was very accurate at a much longer range than the Russian muskets. The siege warfare at Sevastopol was incredible, and here the Russians were not so far behind. During the eleven and a half months of the siege, 120 kilometres of trenches were dug by the Russians, the British and the French; 150 million gunshots and 5 million bombs and shells of various calibre were exchanged between the two sides. It was a dress rehearsal for the industrialized trench warfare of World War One. Lord Raglan gets short shrift. Was he as hopeless as all that or did he have some redeeming features? Maybe I was a bit harsh on him – he was a nice old gentleman – but come on, get serious, he had no real previous experience of command on the battlefield, he had been a military secretary to Wellington during the Peninsular War of 1808-14, and his blunders cost a lot of lives. It seems incredible that the Allies decided to spend the winter in Russia especially with 1812 in living memory. Indeed. They relied on travel books that told them the Crimean winters were mild. And they thought they would defeat the Russians before the winter set in. But they left for the Crimean in September without winter equipment – and then a shipload of winter coats and tents was lost in storms. The French played their hand in the war rather cleverly and Napoleon gained huge prestige but the British saw their victory as a disappointment. Was the war a political disaster for Britain? The British wanted the fighting to go on after the fall of Sevastopol. They had not had a victory – apart from Alma – and the French had taken the lead and all the glory in the fighting at Sevastopol. I think the British would have supported a new campaign against Russia in 1856 but the French had had enough – they were fed up with fighting what many of them saw as a war for British interests – and politically there were good reasons for Napoleon to end the war – not just to avert the threat of revolution but to get Russia onside for his plans in Italy. I think the British did see this as a disaster. They gained nothing at the Peace Conference, and lost a lot of confidence as a result of the disastrous mismanagement of the war. It may explain why Britain was so reluctant to commit troops again to a European war until 1914. In Russia, the Emancipation of the Serfs came soon after the war. Was it a direct result of the war? Not direct – the war ended in 1856 and the serfs emancipated in 1861 – but the war crippled Russia’s finances and economy, and made it clear that it could not compete with the industrial powers until it had a modern conscript army, which meant the abolition of serfdom. I think the Emancipation was a long time coming, however, there were liberals in its favour in the 1840s, so the war in some ways was the pretext needed by the new Tsar Alexander to force it through against the reluctant landowners. The war left Russia with a resentment and suspicion towards the West, did it not? It did – and this was a powerful factor in Russian attitudes towards the West which continues to this day. There was a strong sense of betrayal by the West which – for the first time in history – had sided with a Muslim power (the Ottoman Empire) against a Christian one (Russia). I think that this sense of resentment fed into the pan-Slav nationalism of the Russians in the later nineteenth century. It is there today in the Russian sense of Western ‘double standards’ that makes Russian nationalists like Putin so mistrustful of the West. The Tsar Nicholas I is admired by the Putinite regime – because he stood up to the West in defence of Russia’s interests.